Stemtech was first to discover the way to support the body’s natural renewal system by supporting the release of more adult stem cells into the bloodstream. Our Advanced Formula now brings a new discovery to the forefront with a longer-lasting formulation that that helps the body maintain and repair tissue and organs. 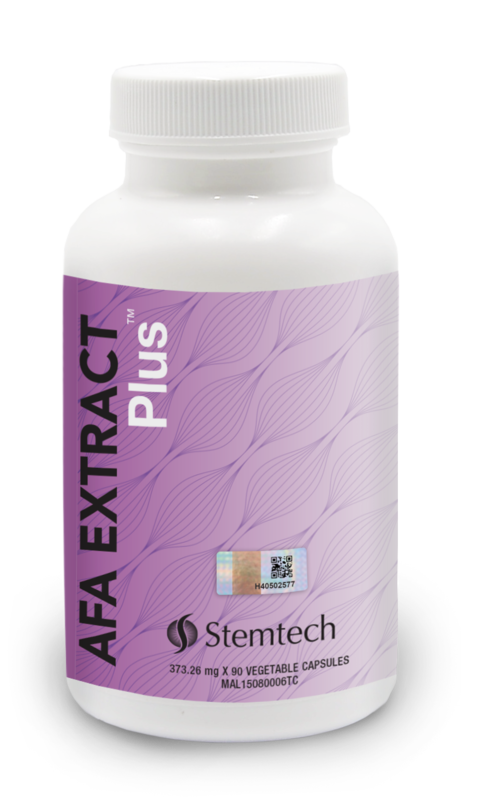 Stemtech AFA Extract Plus is not a traditional multivitamin supplement that works to supply nourishment to old cells. Instead, Stemtech AFA Extract Plus supports the natural release of “master” cells that can transform themselves into healthy new cells. 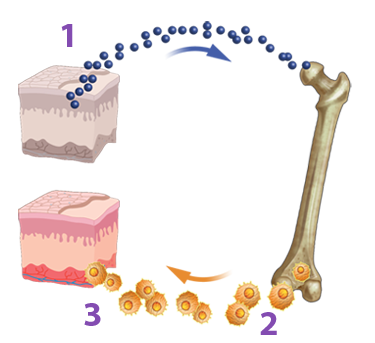 Aphanizomenon flos-aquae (AFA Concentrate) is documented to support the natural release of adult stem cells from bone marrow. Undaria pinnatifida is a marine alga from pristine ocean environments around the world, and is well known to support the immune system. Fucoidan from Undaria Pinnatifida has been documented to support a long-lasting increase in the number of circulating stem cells. Cordyceps sinensis is a synergistic ingredient that has been associated with stamina and longevity, and a wide variety of health benefits. When used with AFA Concentrate, fucoidan from Undaria pinnatifida and Polygonum multiflorum extract, it has been documented to synergistically support stem cell release. 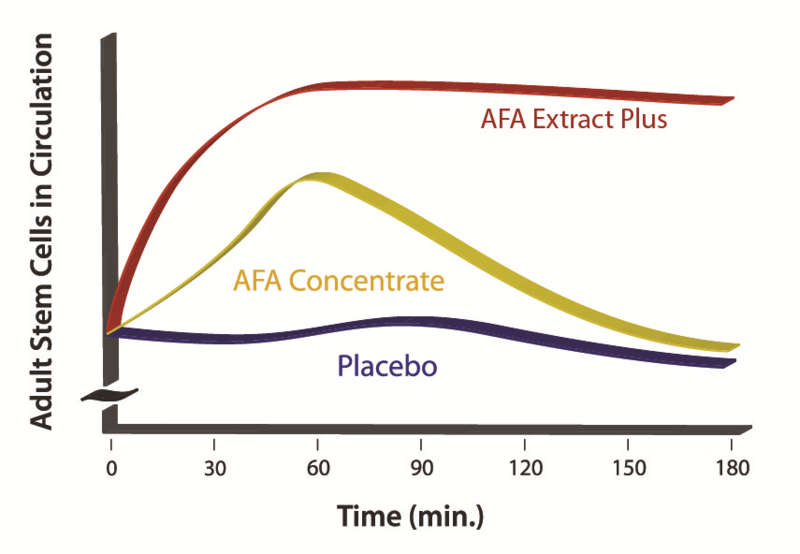 Tests show Stemtech AFA Extract Plus supports the release of millions MORE adult stem cells…for a longer period of time. Your body’s renewal system depends on the number of adult stem cells into your bloodstream. “Messengers” are sent by tissues in need, requesting the release of adult stem cells from the bone marrow. Adult stem cells circulate in the bloodstream. A different set of “messengers” attract adult stem cells to migrate into tissues where the stem cells reproduce and become new healthy cells of that tissue.